Self-driving vehicles are all ready to hit the roads in a few months. Most of the companies be it the food outlets or automotive industries have taken the decision of implementing the use of the self-driving vehicles so as to help the country deal with traffic, emission control, low fuel usage, and less of road mishaps. The U.S. is currently developing a self-driving car that can help the various food outlets deliver their products. For now, Dominos is the primary customer going to try out the vehicle in Ann Arbor city present in Michigan. The test is being carried out so as to check if the people are comfortable and feel secure to collect their delivery from an empty car. The car maker Ford is the one going to develop the self-driving cars by 2021. According to the President of Dominos of the U.S. Russell Weiner, “the delivery of the pizzas should be on time and easy for the customers” is what the company wants to accomplish in the coming months. The customer’s experience is all that matters now including “How they feel about getting out of their house to collect their pizza from an empty car?” Even the experience “when the car is parked in the driveway or near about the kerb” matters. 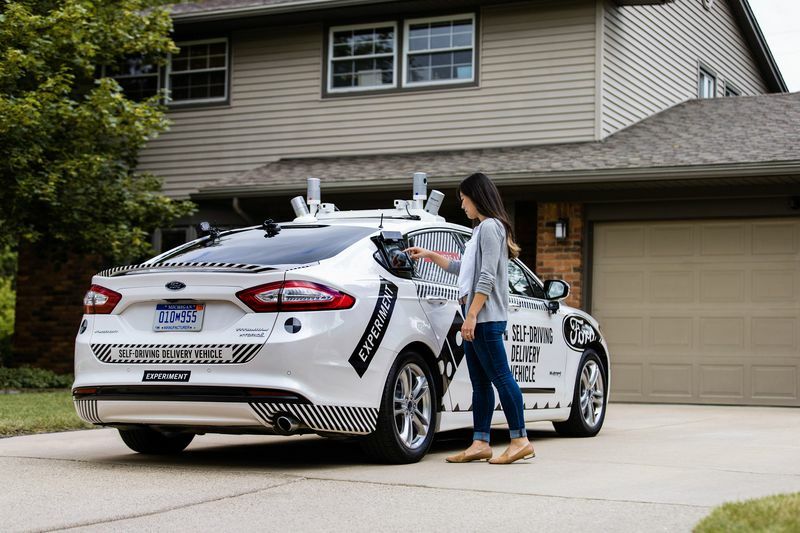 The Ford’s self-driving car that is the Ford Fusion Hybrid Autonomous Research Vehicle driven by a human will first be tested for the experimental purposes. The car will not only have an oven that will keep the pizza but also have a researcher who will record the reactions or everything happening. Will people be happy monitoring their smartphone app to check the delivery and walk down stairs as well as path to open the oven using a special code so as to collect the pizza and return back home? This predictability is something only the future can answer. The use of self-driving vehicles for pizza delivery has already been tested in New Zealand using self-driving drones or robots. And Dominos joining in to help implement the self-driving vehicle idea is very essential. There are others including UPS, Alibaba, Amazon, and Google also trying to develop the services.